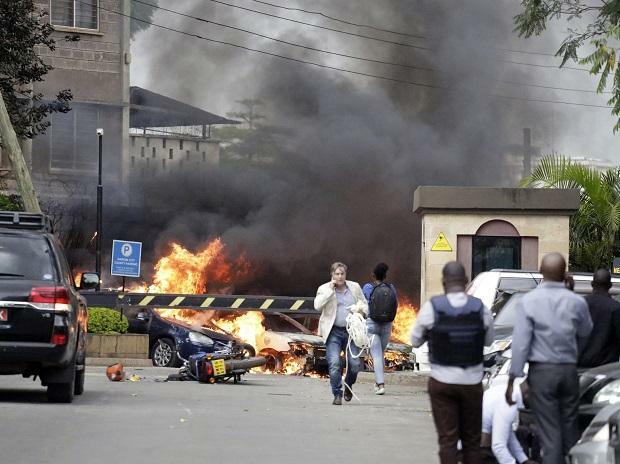 Terrorists attacked an upscale hotel complex in Kenya's capital Tuesday, sending people fleeing in panic as explosions and heavy gunfire reverberated through the neighbourhood. A witness reported seeing at least two bodies. Al-Shabab the Somalia-based extremist group that carried out the 2013 Westgate Mall attack in Nairobi that left 67 people dead claimed responsibility for the assault and said its members were still fighting inside.